Good condition right angle finder with box eye piece has come adrift and needs someone with watchmaker screw driver and a screw to fix. Fits Pentax M-Series cameras, but could be modified to fit others. 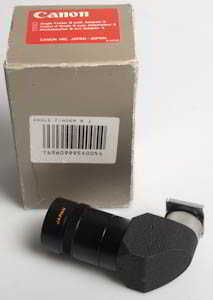 Canon Angle Finder B . 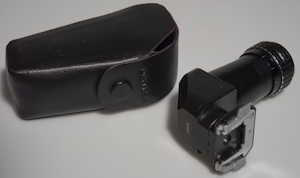 It comes with Adaptor S to fit Canon A series and modern EOS digital cameras. 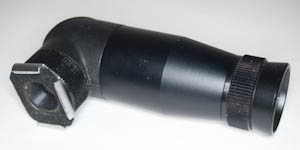 Right angle finder perfect for low level shooting. 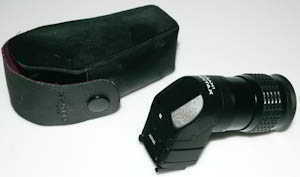 Ohnar AF-1 Right Angle finder (spares) Ohnar AF-1 right angle finder for use on Pentax film and digital SLRs. 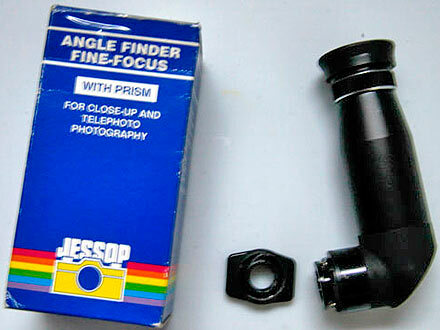 Missing prism so for spares (tubes interchangeable with Jessop one.